Shirley Ballas, the British-born ballroom and Latin dancer and international coach, has been confirmed as the new judge on BBC One’s Strictly Come Dancing. Originally from Wallasey on the Wirral, Ballas is a former British Open To The World champion, European, German, United Kingdom, United States and International Latin American champion. She retired from competitive dancing in 1996. She's now an acclaimed and respected international coach to many of the top professional and amateur dancers as well as a sought-after adjudicator for ballroom and Latin American competitions judging all around the world. 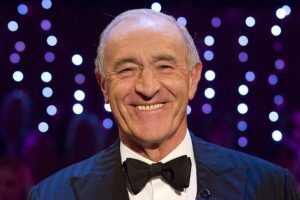 Ballas will take over from Len Goodman as head judge and will have the casting vote in the dance-off. Goodman announced last year that he was stepping down at the end of the 14th series. She said: "I am so excited and over the moon to have been given this wonderful opportunity. I can’t wait to get in to the ballroom and be part of the incredible and respected judging panel. Strictly is so loved by the British public, I have always been a massive fan. I just can’t wait!" Strictly Come Dancing is a BBC Studios production and returns for its 15th series this autumn.